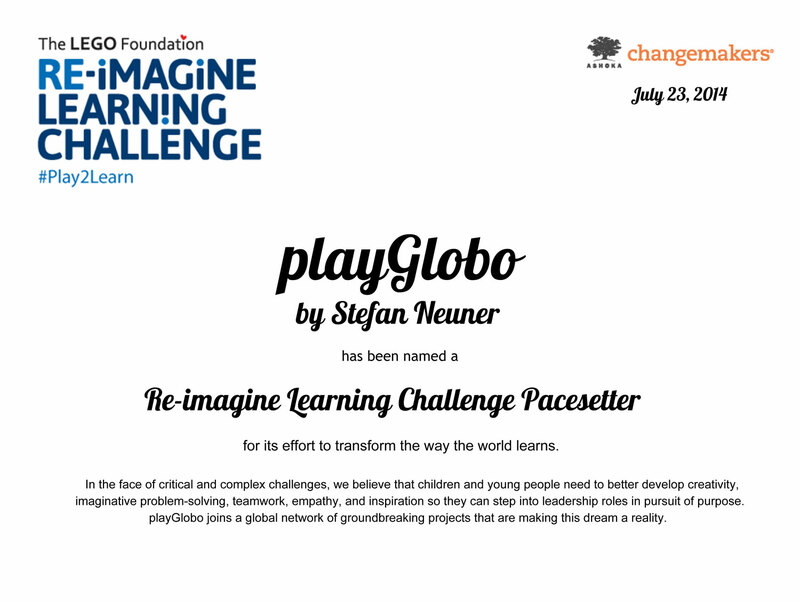 playGlobo by Stefan Neuner has been named a “Re-imagine Learning Challenge Pacesetter” for its effort to transform the way the world learns. 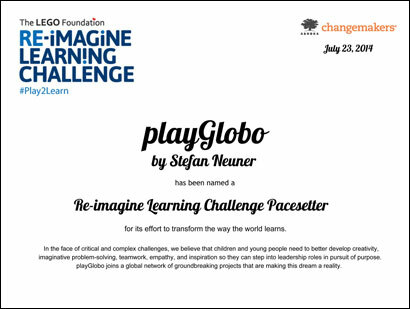 In the face of critical and complex challenges, the lego Foundation and Ashoka Changemakers believe that children and young people need to better develop creativity, imaginative problem-solving, teamwork, empathy, and inspiration so they can step into leadership roles in pursuit of purpose. 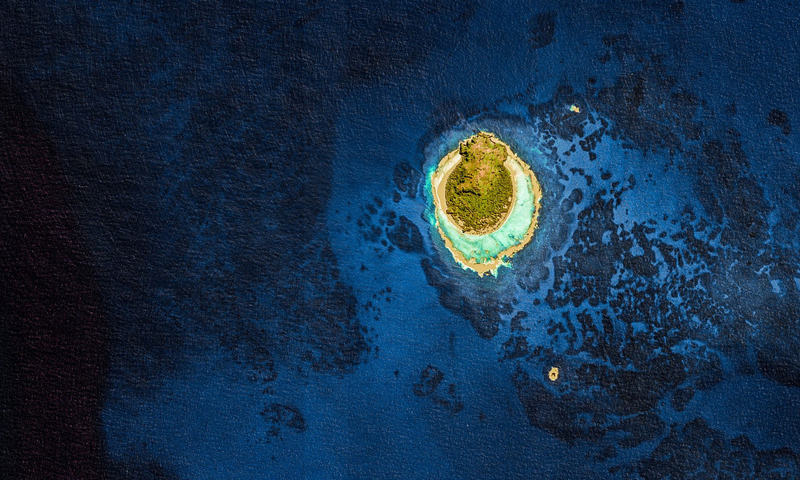 playGlobo joins a global network of groundbreaking projects that are making this dream a reality.